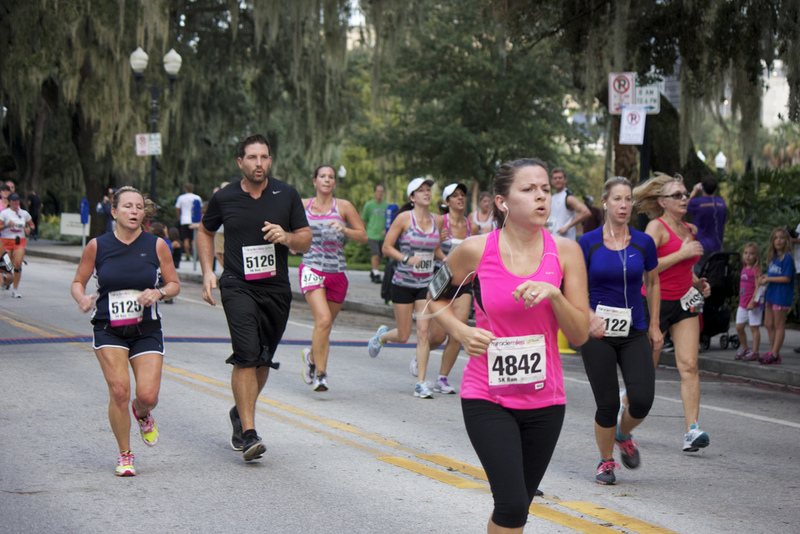 Over 3,500 dedicated supporters and athletes came out to Lake Eola Park in Orlando on Saturday, Sept. 22 to support 14 years of “Miracle Miles” and the inspiring work of the Alexander Center for Neonatology at Winnie Palmer Hospital for Women & Children. “All we take care of is babies, babies who are sick, babies who need both clinical and intensive care,” said Dr. David Auerbach, the director of the Neonatal Intensive Care (NIC) unit at Winnie Palmer Hospital. “The babies--many of them born prematurely--need the support we offer to get them through issue of infections, lung diseases, birth defects and a whole scope of other issues,” said Auerbach. He has worked in Orlando for over 27 years and has partnered with Dr. Alexander over that time to see the successful growth and continued success of the NIC during that time. He has also played a personal role in the yearly “Miracle Miles” events since its inception. “Miracle Miles” is coordinated through the Arnold Palmer Medical Center Foundation and Winnie Palmer Hospital. The Alexander Center for Neonatology is one of the largest Neonatal Intensive Care units in the United States. Since it open in 1975, more than 28,000 high-risk babies in need of care have been successfully treated. Auerbach has noticed a rise in premature birth over the years with national averages now reaching from 12 to 13 percent of children. The development of new technologies and other medical breakthroughs has allowed for the care of ever smaller babies at an increasing successful rate of treatment. There were multiple races during Saturday’s event including both a 5 and 15K race, as well as a kid’s fun run. The 5K race wasn't timed and participants were reminded to check the clock when they crossed the finish line to keep track of their times. 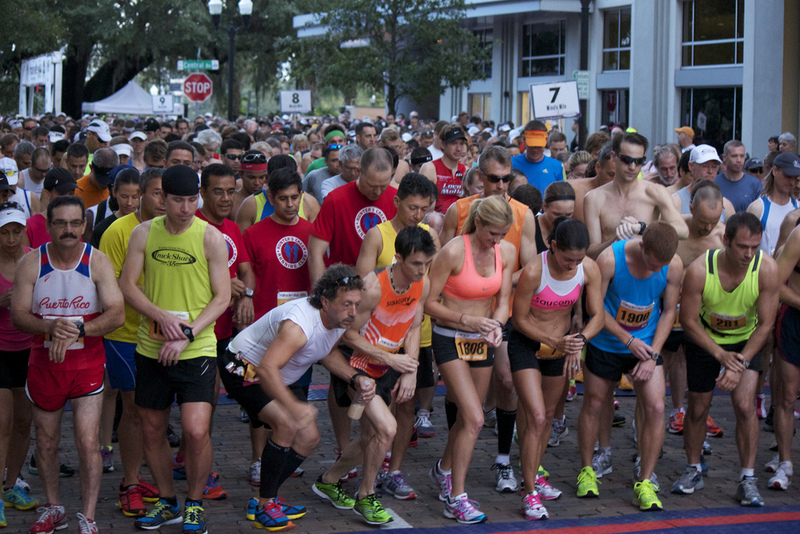 The 15K race (9.3 miles) was timed by radio frequency markes with over 1,600 runners competing for the best times in a multitude of age brackets. The first place overall finisher was Mike Hensley, 26, from Bonita Springs, with an average pace of 5 minutes and 28 seconds per mile and a total time of 50:48. “I’ve seen so many families here that rely on the work of this hospital, so I’m glad to support an organization like that,” said runner Shellane Demarese. The vigorous 5 and 15K races were supported by over 200 volunteers with words of encouragement and refreshing treats along the way. Exasperated runners cooled down and refueled after the races with donated ice treats, fresh fruits and as much water as they could drink. Runners who didn't win their age brackets or break their personal records still found pride in supporting a notable cause. Be it first hand experience with sick children or word of mouth, the momentum of support for the Alexander Center for Neonatology shows no signs of slowing down. More information on Winnie Palmer (NIC) can be found at http://orlandohealth.com/winniepalmerhospital and detailed results from Saturday’s race can be found at http://www.trackshack.com/events.